Various bonding and sealing materials for precision parts, including evaporation materials for semiconductor devices are available. 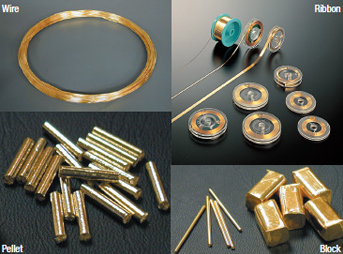 Gold and gold alloys are available in wire, ribbon, pellet, block, and ball forms. 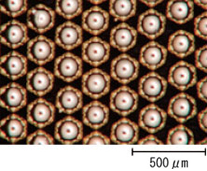 Die bonding, wafer evaporation, bonding, sealing, etc.